General Description: ​Radium Hot Springs​ is a family friendly hot spring destination. Radium is located along the Columbia River in Sinclair Canyon in Kootenay National Park in British Columbia, Canada. Radium boasts a shallow soaking hot springs pool and an outdoor hot springs swimming pool. 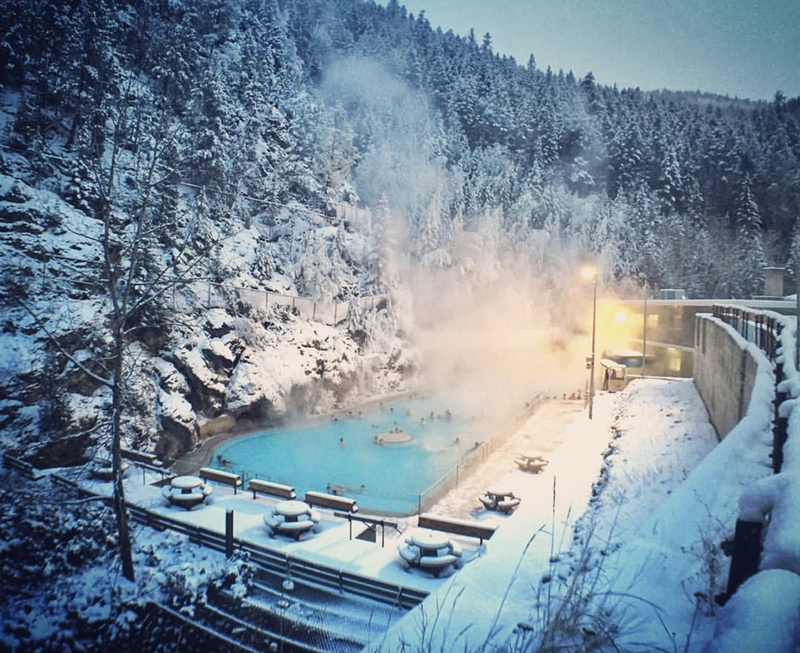 Radium Hot Springs offers a full service spa. Location: From Calgary, Alberta, Canada is 260 Kilometers or about 3 hours to drive to the hot springs. Accessibility: ​Radium Hot Springs​ ​is accessible. You can drive up to the hot springs. It is an easy walk around the property. The pools are handicap accessible. Hot Springs: .Radium Hot Springs boasts a shallow soaking hot springs pool and an outdoor hot springs swimming pool. Water temperature is kept between 37ºC and 40ºC or 98ºF and 104ºF in the hot springs pool. Hot Spring Tips: ​​Radium Hot Springs offers lockers, washrooms and showers in their change rooms. Visitors must shower prior to entering the pools. 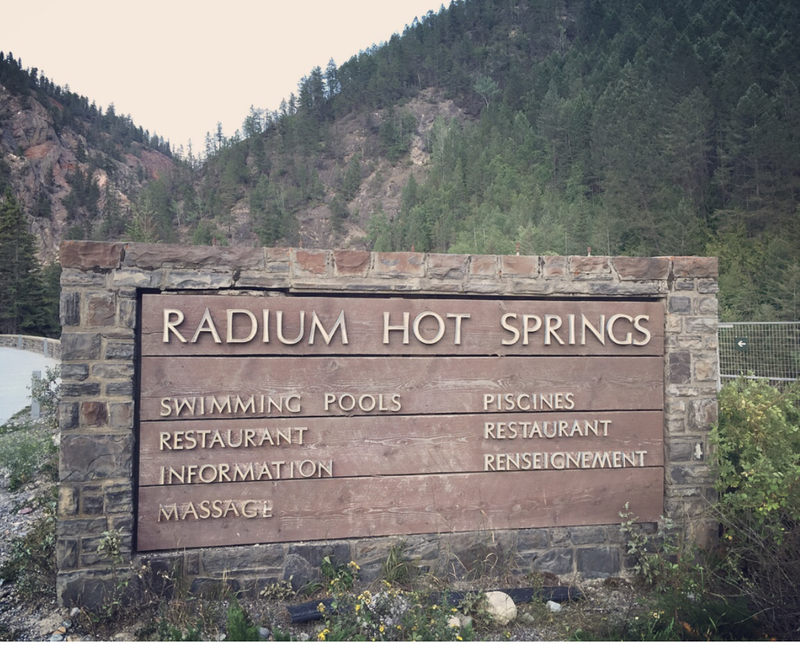 ​​Radium Hot Springs offers day use only. Radium is not pet friendly. Snacks and bottled non-alcoholic beverages are available through on site vending machines. Swimsuits, towels, and lockers are available to rent. ​Men’s, women’s and accessible change rooms are available with one-time use lockers. Washroom facilities and showers are located in the change rooms. You must shower before using the pools. Clothing is not optional. Bring your bathing suit. There are no accommodations onsite. Youtube Video on Radium Hot Springs is below.